It’s hard to watch TV without seeing an ad for a product claiming to help people lose weight. But when you see one of those ads, you may wonder – how solid is the science behind these claims? To gain some understanding, I asked our nutrition scientists at Biofortis, Mérieux NutriSciences’ clinical research facility, if weight loss and weight maintenance claims, like the ones seen on TV, can be proven by clinical research. The short answer is yes; there are tried and true protocols used by leading commercial weight loss companies to demonstrate the effectiveness of their products in situations that mirror real-world scenarios. To get even more details, I asked two of our scientists, Dr. DeAnn Liska and Dr. Chad Cook, who have extensive experience in designing strategies for and conducting clinical trials on weight loss products, to elaborate on these studies. Q: Can you describe the process used to conduct weight loss studies in a clinical setting? Dr. Cook: At Biofortis, we scientifically study weight loss products and programs, using carefully designed clinical study protocols. Ideally, weight loss studies are executed over at least a 16 week period, while weight maintenance studies typically last at least one year. Some products or programs are targeted to facilitate more rapid weight loss, so these are studied for the appropriate number of days or weeks as needed. Dr. Liska: In these particular studies, eligible volunteers are typically randomly divided into a control and, one or more, test groups. In a best case scenario referred to as a double-blind study, neither the participants nor the researchers know which group is consuming the product being tested versus the control product. Whereas double-blind studies may be the gold standard, weight loss programs most often cannot be blinded in this way. Therefore, it is important to assure that, at a minimum, the individuals performing data entry and analysis are blinded. Q: Can you tell us more about the human subjects selected for these studies? Dr. Liska: Results from these studies need to be generalized to fit the average individual using the product or program; therefore, recruiting human volunteers who represent the product’s target audience is ideal. To identify the appropriate subjects, we screen for the desired demographics (e.g., body mass index, age range, etc. ), review health history and may even take blood samples to measure certain biomarkers of disease risk factors, such as fasting, glucose or cholesterol levels. Additionally, factors such as food preferences and fitness levels can also be taken into consideration when determining the study sample population. 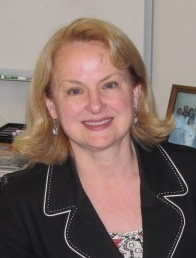 Dr. Cook: During the study, subjects are usually asked to keep their standard routine in order to try to determine the independent effects of the product on weight outcomes, or the subjects can be counseled and monitored by our registered dieticians to make sure they follow very specific dietary and lifestyle interventions, such as increasing the amount of exercise they do each week. Q: What are the key outcomes of weight loss studies and how are they measured? Dr. Liska: The main outcome is typically the loss of weight. Generally, these studies see participants lose more than 5% of their original body weight, which is considered “clinically significant.” By looking at the individual results, as well as the total percentage of volunteers losing more than 5% of their original body weight, the weight loss product’s effectiveness can be judged properly. Dr. Cook: Other measurements can also be taken, such as waist and hip circumferences, along with more sophisticated body composition analyses using imaging tools such as DXA to measure fat and lean mass. The latter measures are often important, as some products may promote the overall loss of weight, but the loss of body fat while maintaining (or minimizing the loss of) lean mass is the most desirable outcome. All measurement techniques described have some degree of error, so it is important that groups conducting these studies have specific protocols in place to minimize the “noise” attributed to measurement variation. Q: What other pitfalls do you face with weight loss studies? Dr. Cook: There are several potential pitfalls in weight loss clinical studies, such as recruiting volunteers quickly, motivating them to stick with the program over periods of time, choosing the best control product or diet plan and handling challenging statistical analyses. However, clinical research groups like ours at Biofortis, have experience with this type of study. So go ahead and read the fine print since many companies have invested in clinical research studies. Applying the scientific method to the study of weight loss products results in better-characterized weight loss products and eating systems that can withstand the scrutiny. Is your company looking to validate claims about weight loss on a current product or developing a new product targeted at assisting with weight loss? Biofortis is Mérieux NutriSciences’ global research organization serving innovation in food, nutrition, health and consumer goods. Our track record proves we can collaborate with leading key opinion leaders in study fields of cardiovascular, metabolic, exercise physiology, cognitive function, satiety, weight loss and weight management research. Ready to get started on your weight loss study? Contact us now! Pam Coleman, MBA, CFS, heads Biofortis as well as the Research Services team for Merieux NutriSciences in North America. Her team provides nutrition, sensory/consumer and food safety/quality research support to the food and dietary supplement industries. Her career spans more than 30 years, most of it focused on analytical service and research projects within food companies and for food companies. Pam currently serves on the Board of Directors for the Institute of Food Technology.